EE has confirmed that it will be carrying out tests this year for the next generation of mobile network, dubbed LTE Advanced. According to the network, the new technology could provide top speeds of up to 300Mbps - double what it's current 4G offering can provide. The tests will be carried out in London, although there's no clear indication when the technology will be rolled out to consumers. This new speed has been made possible by EE combining its two 4G frequencies into one super channel allowing for a much higher throughput. 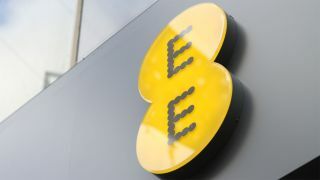 The LTE Advanced technology will be first introduced in the mobile broadband sector, allowing EE to bring network connections to rural areas which are currently without the internet, as well as to businesses such as the emergency services. Currently EE doesn't range any LTE Advanced smartphones, and there are only a tiny number of handsets which exist in the world. That means we're unlikely to see the option of 300Mbps speeds hit our smartphones next year, with 2015 being the earliest date mooted at the moment - but that's all subject to change. While we wait, why not check out the best 4G phones currently around?